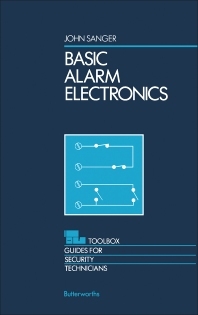 Basic Alarm Electronics is an introductory manual on security systems. The book is comprised of 11 chapters that cover the electronic components and circuits involved in alarm systems. The text first covers the basic concepts, and then proceeds to presenting electronic components, schematics, diagrams, and symbols. The next two chapters detail Ohm’s law and other electronic formulas. Next, the book deals with security circuits, components, and symbols. The remaining chapters cover the power supplies, wiring, and safety. The book will of great use to anyone looking forward to designing and installing their own alarm system.